Forget about Apple’s just-refreshed MacBook Pro with the Touch Bar and Touch ID: Korean outlet ET News says the next refresh to the Pro might swap out LCD panels for the more power-efficient OLED screens not unlike AMOLED displays found on flagship Samsung smartphones and tablets. “Apple is currently looking into ways of using OLED panels for MacBooks and testing their performance,” reads the report. 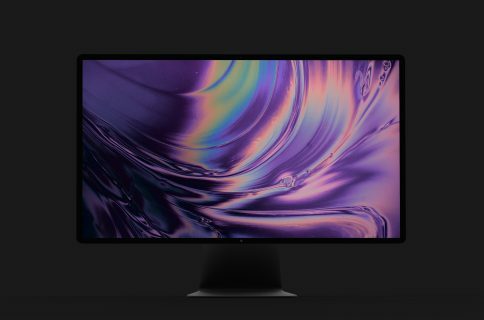 In addition to power savings, an OLED screen on a future MacBook Pro could render brighter colors, provide better contrast and fast response speed whilst enabling ultra high resolutions. Although Samsung, Dell, HP and Lenovo had introduced laptops with OLED panels rather than LCD panels this year, these machines reportedly have difficulties in implementing OLED’s distinct black color and use a lot of electricity as they use white screen most of times. Sharp President Tai Jeng Wu recently said that Apple will transition to OLED displays in 2017 for the next iPhone and other products. KGI Securities analyst Ming-Chi Kuo predicted that next year’s MacBook Pro refresh would offer a price reduction, 32GB of faster LPDDR4 RAM that has 15-25 percent less power versus the existing LPDDR3 and other enhancements. Apple’s Phil Schiller said that putting more RAM into the current Pro would’ve required a “memory system that consumes much more power.” A subsequent Reddit report suggested Intel’s Skylake chips may be the technical culprit. 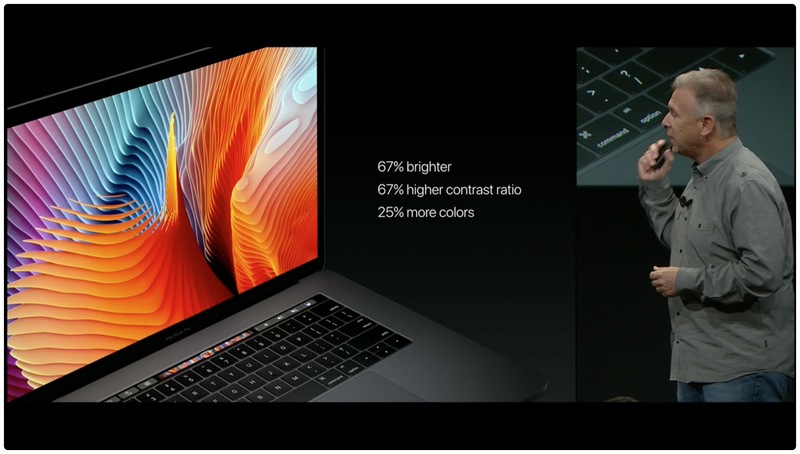 Apple says the current MacBook Pro has the brightest, most colorful Retina display ever due to brighter LED backlighting. It is up to 67 percent brighter than its predecessor and the first Mac notebook display to support wide color gamut for even more vibrant greens and reds. “This ensures truer-to-life pictures with realistically vivid details, essential for graphic design, color grading and editing,” notes Apple. By the way, Samsung has been identified as the most likely supplier of OLED screens for the MacBook Pro’s Touch Bar. 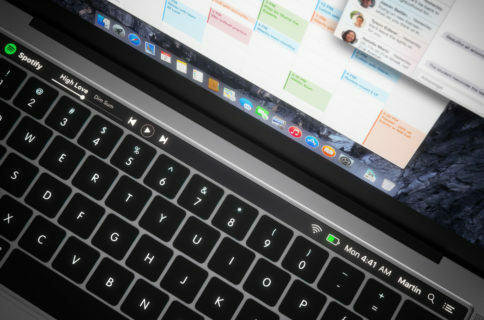 An industry expert said that the Touch Bar uses an OLED rather than an LCD panel because OLED is three times thinner than LCD with backlighting. 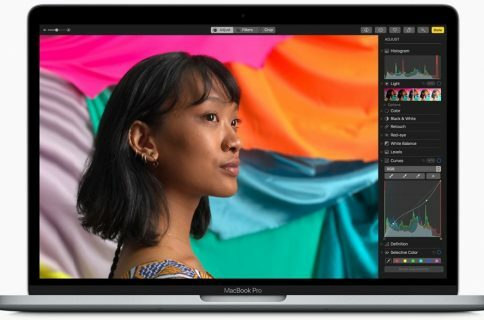 The display in the new MacBook Pro also features larger pixel aperture and an increased contrast ratio, delivering deeper blacks and brighter whites, and supports variable refresh rate to make it more power efficient than previous generations.